The Dri-Aid kit absorbs moisture from your hearing aid. Works with any hearing aid. Including 6 Capsules. The Dri-Aid kit absorbs moisture from your hearing aid, prolonging its lifetime and increasing its sound quality. 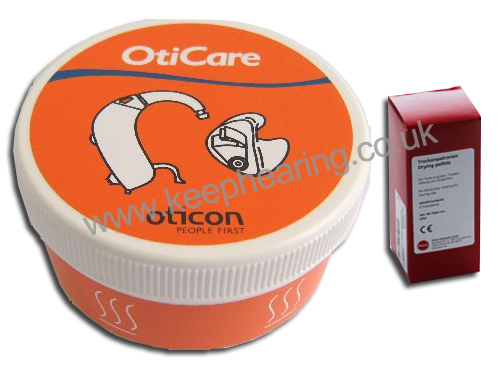 Suitable for all types of hearing aid. Re-fill capsules are available see below (6 capsules are supplied).